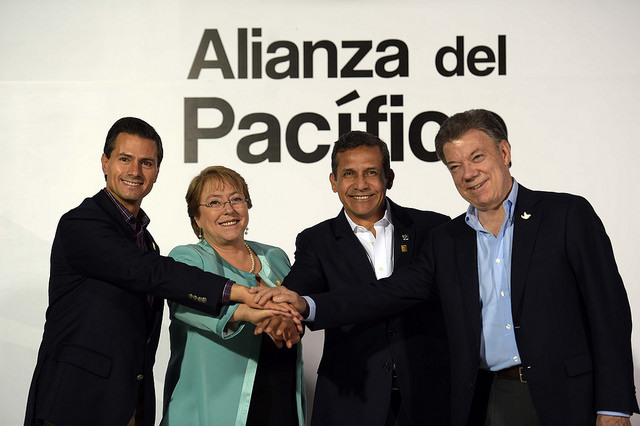 Spanish bank BBVA sees the Pacific Alliance gaining ground while Mercosur slipped into reverse. Latin America’s economy is moving at two speeds, according to the Spanish bank BBVA, as the Pacific Alliance gaining ground as Mercosur, the Common Market of the South, slipped into reverse in 2015 and on into 2016. In its first-quarter 2016 outlook, BBVA lowered its forecast for global GDP growth in 2016 to 3.2 percent, foreseeing a more robust recovery only towards the end of 2017. Following on the depressed global outlook, BBVA’s 2016 growth projections for all Latin American countries except Peru (where the impact of El Niño is less than anticipated) received downward revisions. BBVA projects the Pacific Alliance—Chile, Colombia, Mexico and Peru—will achieve somewhere between two percent and 2.5 percent growth in 2016. This is less than in 2015, and still below the trade bloc’s potential, which the bank puts at 3.8 percent. But the growth rate should improve as 2016 ends and 2017 begins. Heineken has announced its beer shipments have exceeded analysts’ expectations in the first quarter thanks to growth in Asia and Latin America. The world’s third-biggest brewer revealed beer volume had rose 7 percent, more than double the 2.4 percent that analysts had expected. Reports had projected the global lager market to grow at a steady CAGR of 4.2% by 2020, but these figures released by Heineken come as a surprise. According to reports, the most prominent factor driving growth in the market is the increasing demand for premium lager products. Vendors have responded to this demand with the launch of premium products marked as authentic or genuine. As well as its flagship beer, Heineken also produces two other well-known brands – Tiger and Sol. Weak global growth, a fading demographic boom, lower commodity prices and deteriorating fiscal positions are underscoring the urgent need for major reformulations in fiscal policies of Latin America and the Caribbean, according to the Inter-American Development Bank’s annual macroeconomic report released here today. Most countries need to trim fiscal spending. However, the report argues against cutting capital investments but rather undertake more fundamental reforms. Read the full article on the Inter-American Development Bank. Delegations from Latin American oil exporters Colombia, Ecuador, Mexico and Venezuela met in Quito on Friday to discuss a proposed output freeze and other methods to bolster international crude prices. Latin America’s main oil exporters on Friday called on both OPEC and non-OPEC nations to take action to stabilize oil markets, in a timid statement that did not explicitly back an output freeze or offer more aggressive proposals to shore up slumping prices. Delegations from Colombia, Ecuador, Mexico and Venezuela met in Quito in the run-up to a meeting in Doha on April 17 that oil exporters hope will help reduce a supply glut that has driven global oil prices down by around 60 percent since mid-2014. Read the full article on Telecompaper. Latin American airlines will need some 3,050 new planes worth $350 billion over the next two decades, according to Boeing forecasts. Sixty percent of Latin America’s existing commercial fleet will be replaced in the next 20 years, with the overall fleet size tripling during that time, the company added. 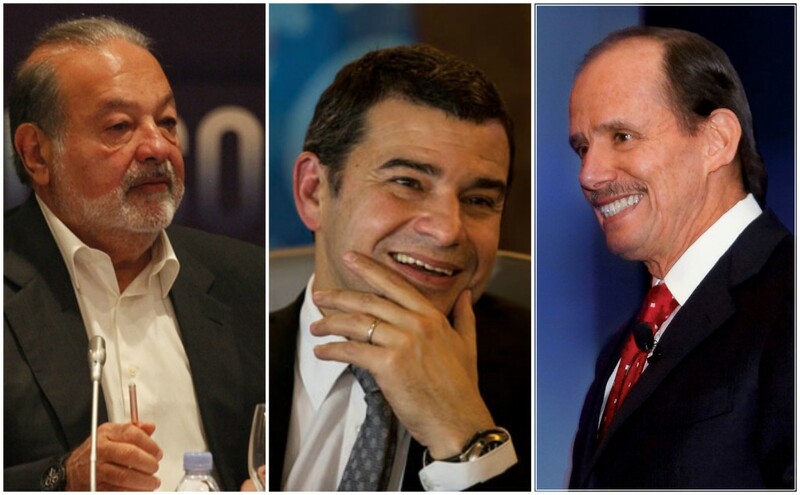 From left: Carlos Slim Helú (picture ITU Pictures/Flickr); Miguel Galuccio, CEO YPF; Eduardo Belmont, Owner Belcorp. Latin Trade presents the 2016 list of Latin America’s 100 Most Powerful Business people who operate in or with the region. This year, the list includes many new names from across the region who have excelled in their leadership to steer their businesses through the economic headwinds that are hitting Latin America. Read the full article on Latin Trade. Mergers and acquisitions in Latin America reached $74.33 billion last year, down from the $116 billion from 2014, reflecting the tough year for the region in general. According to a report by Deloitte, most of the year’s deals were sealed in the first quarter, accounting for 29 percent of the year’s total. The main sectors for those deals were services, financial and industrial services. 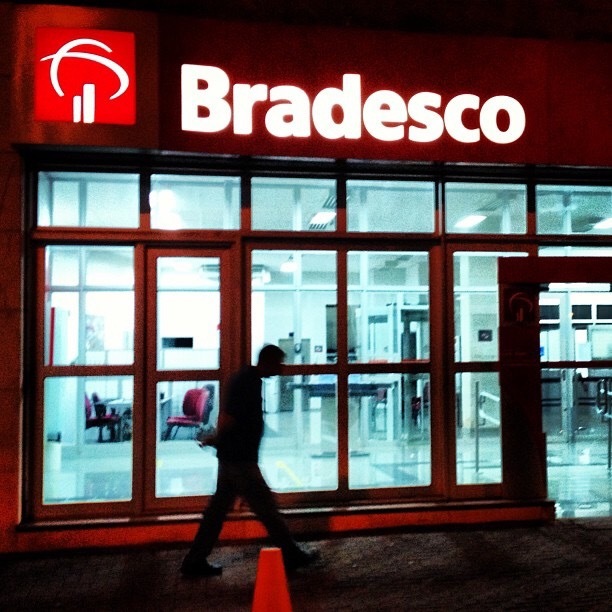 In the new ranking, Brazil and Mexico continue to lead in terms of numbers of deals reached, with the largest for the whole year being the acquisition of HSBC’s Brazilian assets by Banco Bradesco for $5.2 billion. In fact, all top 20 deals last year were in Mexico and Brazil. Among the top 10 is the acquisition of Mexican medical firm Rimsa by Israel-based Teva Pharmaceutical Industries for $2.3 billion. Latin Trade spoke with Teva’s CFO for Latin America, Virigilio Penso, who shared his thoughts on the acquisition, as well as the company’s outlook and strategies for the region. Mexican mogul Carlos Slim fell from second to fourth place among the world’s top billionaires, according to the latest annual ranking from Forbes. Brazilian businessman Jorge Lemann, the key driver behind 3G (owner of AB InBev, Heinz and Burger King), ends up in 19th place, up seven spots. Slim’s fortune now stands at $50 billion compared with $72.1 billion a year ago, while Lemann’s fortune jumped from $25 billion last year to $27.8 billion this year. Brazilian banker Joseph Safra was the third-richest Latin American, with an estimated fortune of $17.3 billion, the same as last year. Forbes calls him the world’s richest banker. Slim wasn’t the only Latin American billionaire to see a strong decline in fortune. Grupo Mexico owner German Larrea saw his fortune fall from $13.9 billion last year to $9.2 billion this year; Colombian banker Luis Carlos Sarmiento saw his fortune fall from $13.4 billion to $8.9 billion; Mexican business man Alberto Bailleres Gonzalez (of conglomerate Grupo Bal) saw his fortune decline from $10.4 to $6.9 billion and Ricardo Salinas (Grupo Elektra) saw his fortune almost halved from $8 billion to $4.3 billion. Read the full article on Latin Vex. The current global economic scenario is not the most encouraging due to the slowdown of economies such as China and Russia, the drop in crude oil prices and other commodities. But this scene presents an opportunity for Latin America to stand out and take the lead once again as a global economic engine. That is the view of Stegan Selig, Undersecretary of International Trade of the U.S. Department of Commerce. In an exclusive interview with Latin Trade, Selig gave his reasons for being so optimistic, Latin Trade reports.